A judge in Harris County, Texas dismissed the trumped-up misdemeanor charge against David Daleiden the President of Center For Medical Progress (CMP). Instead of charging Planned Parenthood with selling baby parts, Harris County Texas District Attorney Devon Anderson charged the CMP head with trying to purchase body parts as part of his sting operation (a misdemeanor). Daleiden still faces a felony charge filed by Anderson of tampering with government documents as he used a fake ID as part of the sting. 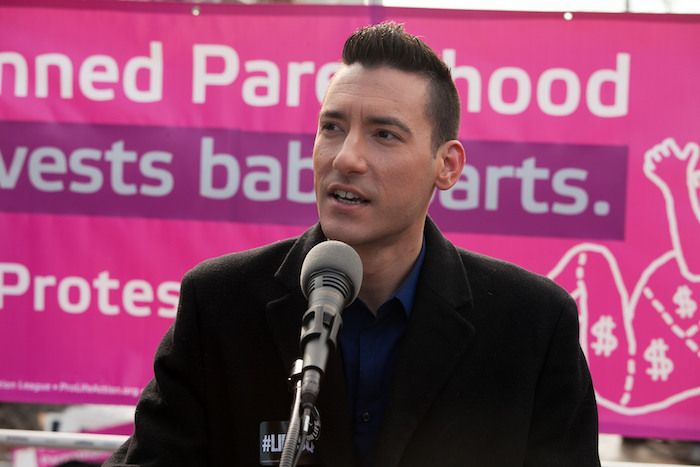 Judge Diane Bull’s swift dismissal of the bogus charge against CMP founder David Daleiden of trafficking human organs is the latest confirmation that the indictments from a runaway grand jury in Houston were a politically-motivated sham all along. In finding that the indictment was void on its face, Judge Bull’s ruling directly contradicts the District Attorney’s argument that the indictment was valid despite the DA’s collusion with Planned Parenthood. The dismissal of the first indictment today sends a strong message to Planned Parenthood and their political cronies that colluding to suppress the First Amendment rights of citizen journalists will never work. The Center for Medical Progress follows all applicable laws in the course of its investigative journalism work and as more details about Planned Parenthood’s contracts for aborted baby parts come to light, it’s clear that Planned Parenthood and their business partners like StemExpress are the ones who are guilty of trafficking in human body parts. In late May of this year, it was revealed that the office of the Harris County District Attorney was sharing their evidence with Planned Parenthoods' attorney. Planned Parenthood Gulf Coast’s attorney Josh Schaffer admitted in a sworn declaration that the Harris County DA’s office shared evidence with Planned Parenthood, even after the Texas Attorney General’s office had forbidden them from doing so. (...) “The recent filings by the Harris County District Attorney confirm that the DA shared confidential documents and information with abortion provider Planned Parenthood, colluding with it in the prosecution of David Daleiden,” said Thomas More Society Special Counsel, Peter Breen, attorney for David Daleiden. “These filings also include evidence that appears to show that the DA’s office worked with Planned Parenthood Gulf Coast to undermine the Texas Attorney General’s independent investigation of that abortion provider. The conduct of Harris County prosecutors in this case is outrageous and illegal. Attorney General Anderson has defended her indictment of Daleiden - despite the fact that a board member of the Planned Parenthood abortion mill works as a prosecutor in her office. Also, Anderson’s campaign received more than $25,000 from the attorney of a late-term abortionist. So far, CMP has released a dozen secretly recorded videos detailing Planned Parenthood’s trafficking of the body parts of aborted babies. David Daleiden still faces the felony charge in Harris County (which will be heard by a different judge) proving once again that Oscar Wilde was correct when he said "No good deed goes unpunished."